Many, many years ago I hosted Thanksgiving for my then boyfriends entire family. We are talking about parents, 4 brothers and sisters, their spouses and two small kids. It was insane of me, but hey, I was 24. I did so much planning and shopping, I had dinner for the night before and every possible dish we could want for Thanksgiving. Everything was going perfectly, that is until they all walked down the street from their hotel to our apartment for breakfast on the morning of Thanksgiving. I had completely forgotten about breakfast! There was nothing to serve anyone except some raw turkey. I was mortified. Thankfully someone made a bagel run and in no time we had food. Since that day I have vowed to make muffins ahead of time to serve for breakfast. It’s so simple and I make them ahead of time and freeze. All I have to do now is remember to take them out the night before. 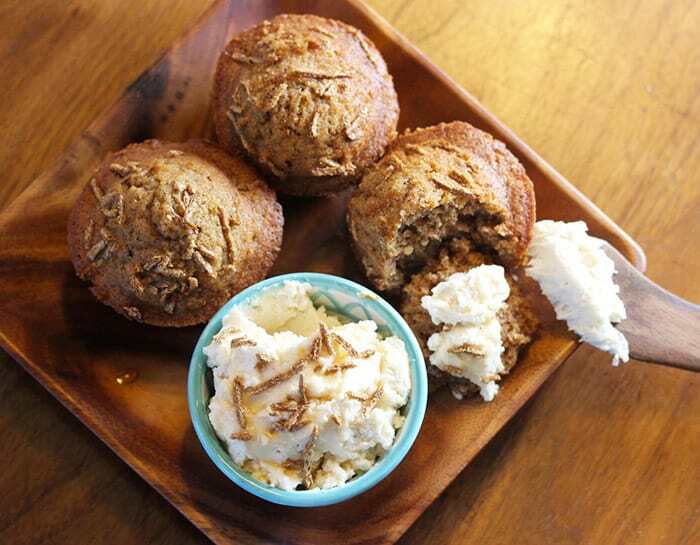 Those first few years I made bran muffins, you know, to prepare our digestive system for what’s to come. 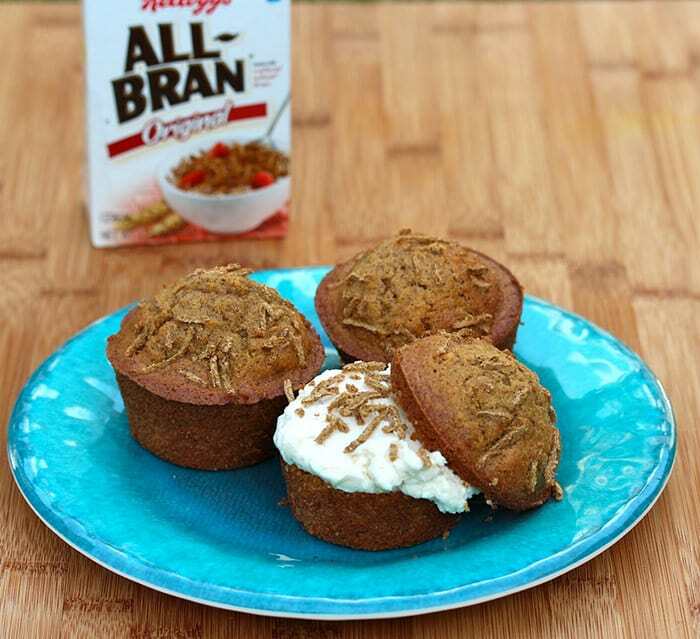 Now that there are more kids on the scene and plain ol’ bran muffins are left abandoned, I’ve started making pumpkin muffins and I secretly add bran. There’s never a crumb left with this tasty recipe. Preheat oven to 400 degrees. 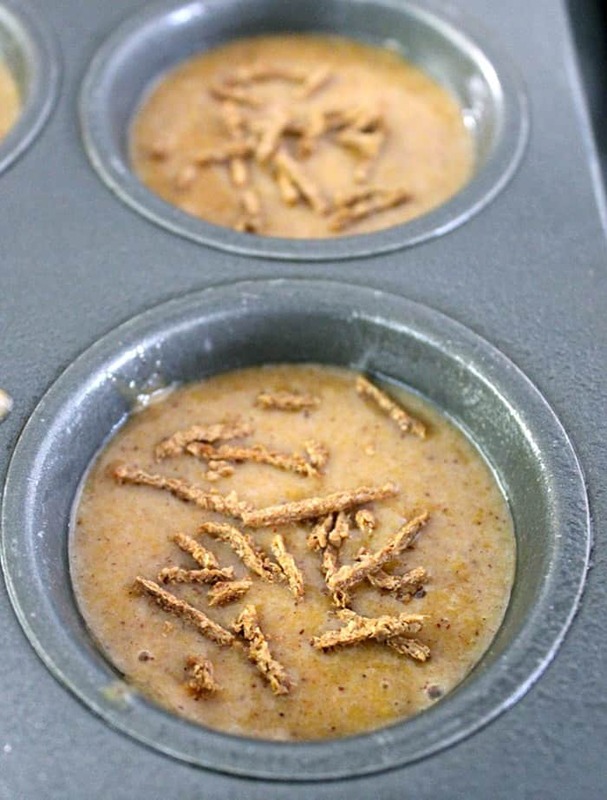 Grease or line muffin tins. Mix the dry ingredients in a large bowl. Whisk together the apple sauce, vegetable oil, eggs, and vanilla. Add the wet ingredients to the dry and stir until blended together. Add the All Bran and stir just enough to incorporate. 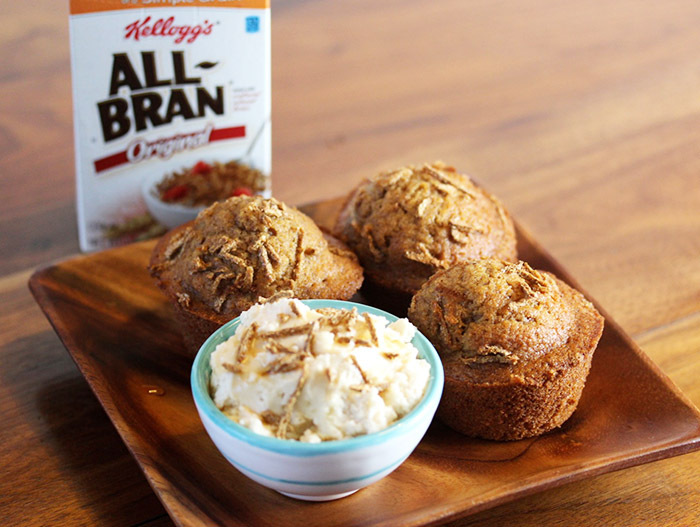 Pour into muffin tins and sprinkle the tops with All Bran. Bake for 18 to 20 minutes or until toothpick comes out clean. 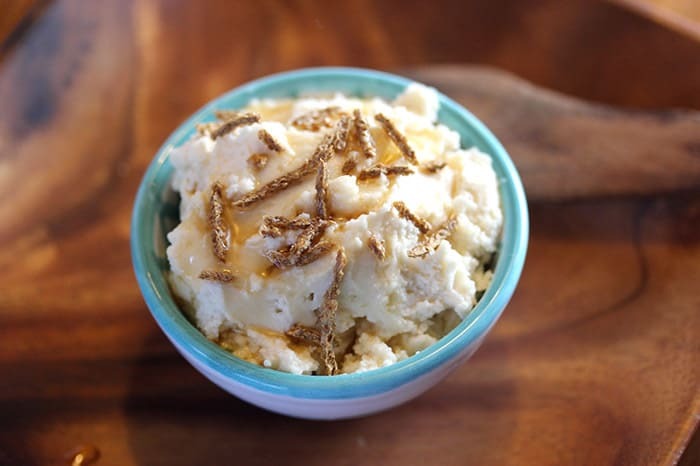 Combine all ingredients into an electric mixer and whisk until light and fluffy. 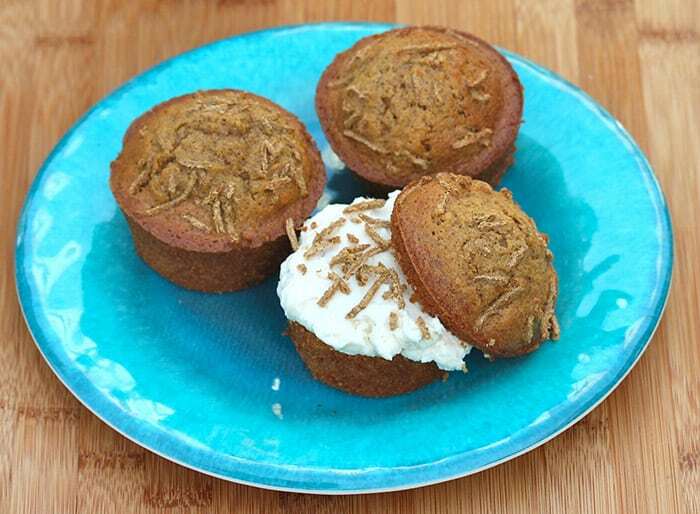 It’s not as sweet as frosting, but it balances the sweetness of the muffins perfectly. Yeah!! Excited for a chance to win! !